﻿Read the new biography by E.T. Rook! 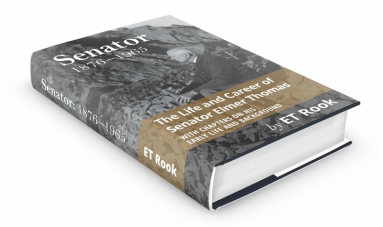 Senator: 1876-1965 The Life and Career of Elmer Thomas expounds the incredible life and times of Senator John William Elmer Thomas, one of America’s most committed and influential politicians and its unsung heroes. 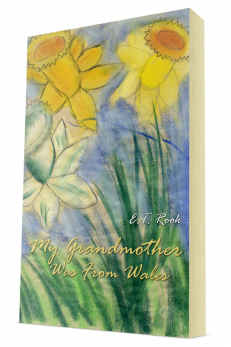 My Grandmother was from Wales depicts the story of Jane Gertrude Edwards Champlin, a pioneer woman whose grandparents migrated from Wales as children to America in the 1800s, subsequent marriage to Joe Noble Champlin, son of Herbert Hiram Champlin and Ary Delight Noble Champlin, heir to Champlin Oil Refinery, her children and extended family, and her personal life as told by her eldest grandchild, Elizabeth Jane Thomas Rook.